Two different people from two very different worlds. Can a mermaid and a human boy find love? Can they survive in his world and hers? A regal and highly trained young mermaid, Marina, is on her first spy mission to Skyeworld in 2020. She comes ashore on Siesta Key, Florida where she meets feisty Lukas, a proud Cuban refugee. Marina will have to choose between the advanced civilization of Aquantis, where she has been chosen as a High Priestess, and her love for Lukas and his dangerously polluted SkyeWorld. 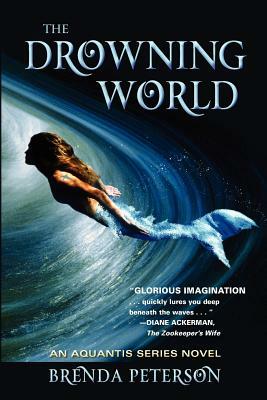 The DROWNING WORLD is an inventive and mesmerizing saga set in a vivid future of rising seas, floating cities, and Flood Lands. Marina's magic and skill save Lukas' life. But can she save herself from a lifelong nemesis in her world?